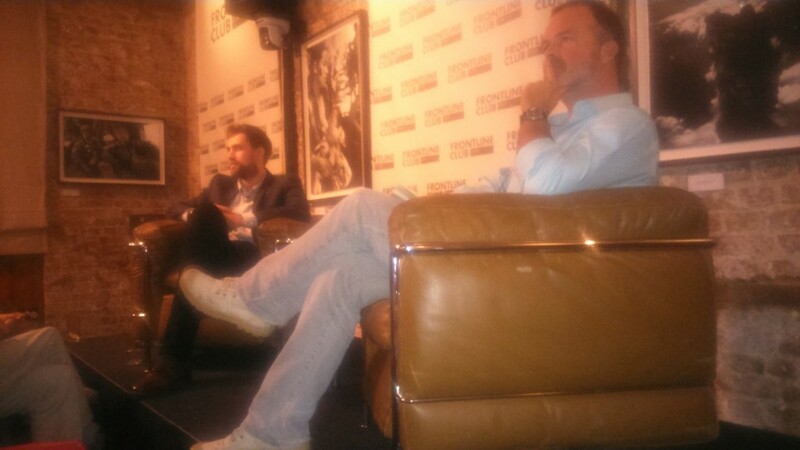 On Friday 19 September, the Frontline Club hosted a screening of The Process, followed by a lively Q&A with the director, Joshua Baker, moderated by Jonathan Miller, foreign correspondent for Channel 4 News. The film follows three main characters in Israel and Palestine: a young Israeli woman who has moved from her settlement to Tel Aviv, a privileged young Palestinian man who lives with his wealthy family in Ramallah and a mother living in the West Bank who is determined to join the struggle against occupation. Miller introduced the film by saying, for him, it was revelatory and enlightening, presenting the very depressing story of war without end, but also capturing something different in the stories it revealed. Baker started by explaining that he filmed everything himself with one camera, which resulted in six car crashes, and often made it very difficult to capture scenes with many people. While the film is only one-hour long, Baker shot over 77 hours of footage. The first question was from a Palestinian journalist in the audience who was disappointed with the lack of acknowledgement of Israeli government oppression. Several other members of the audience agreed with this criticism, while another member of the audience wondered why the film did not touch on the role of the US government in the peace process and as a provider of weapons to Israel. Baker replied that he felt he had presented the level of suffering Palestinians face under occupation, but he acknowledged that he had made certain “editorial decisions to make it palatable to a mainstream audience”. As the film was only finished in June, just before the summer of violence in Gaza, the three main characters had not yet seen the final film. One of the main characters is a wealthy Palestinian who makes favourable statements about Israel in the film and Baker was worried about his safety, in light of the current situation. In discussing why he chose to include this character, he said that he represents a “certain elite of Palestinian society and politics”, who have almost benefited from the Israeli occupation. Much of the film discusses the status quo, which is the result of the lack of progress made by the peace process after 20 years of negotiations. Baker discussed with the audience the fact that “most Palestinians don’t believe in the process” and politicians from both sides benefit more by keeping the status quo, especially the Israeli government who would lose much more by making any meaningful changes. Information on further screenings of The Process can be found on the film’s Facebook page.